STORY BY KYMANI GERMAN, FNN REPORTER, TECH PREP BUREAU. 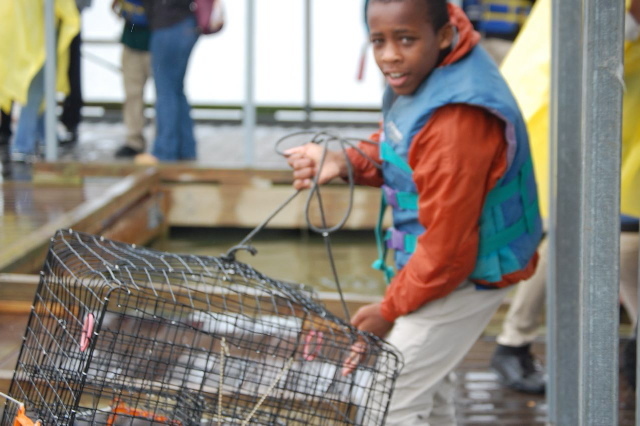 In the crabbing station we learned how to catch the crabs. In order to catch the crabs we had to use chicken. We had to put the chicken on a rope and drop it in the water. We also learned about the blue crab. Blue crabs are the most dangerous crabs. If you look at it in a silly way, it will snap at you. Even if you just put your hand in front of it, it will snap at you. A Sunny Side to a Bad Trip!